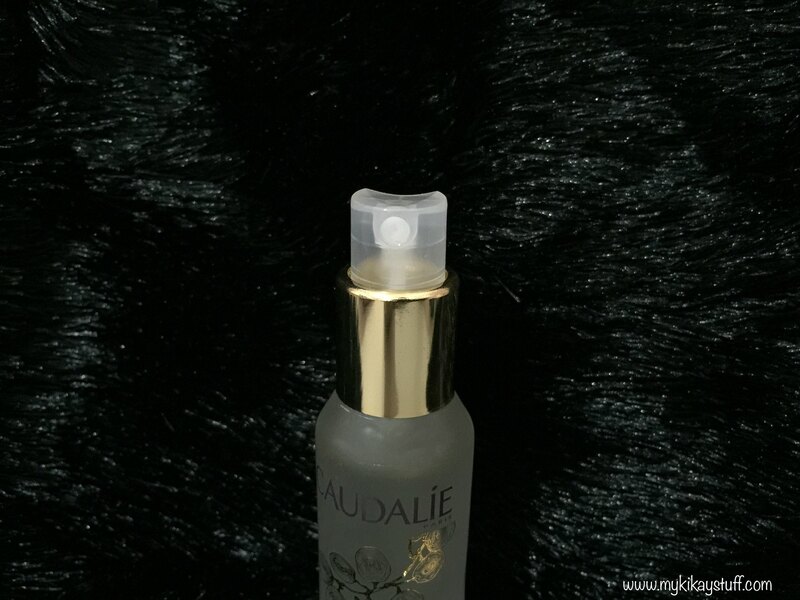 Caudalie is a brand that's been on my wish list for some time now but it's not available locally. Good thing Sephora Philippines carries the brand. I got the limited edition Caudalie Beauty Elixir and the Caudalie Lip Conditioner. Since it was my first purchase using their mobile app, I got a free tube of Pixi Glow Mud Mask... Yey for free stuff! 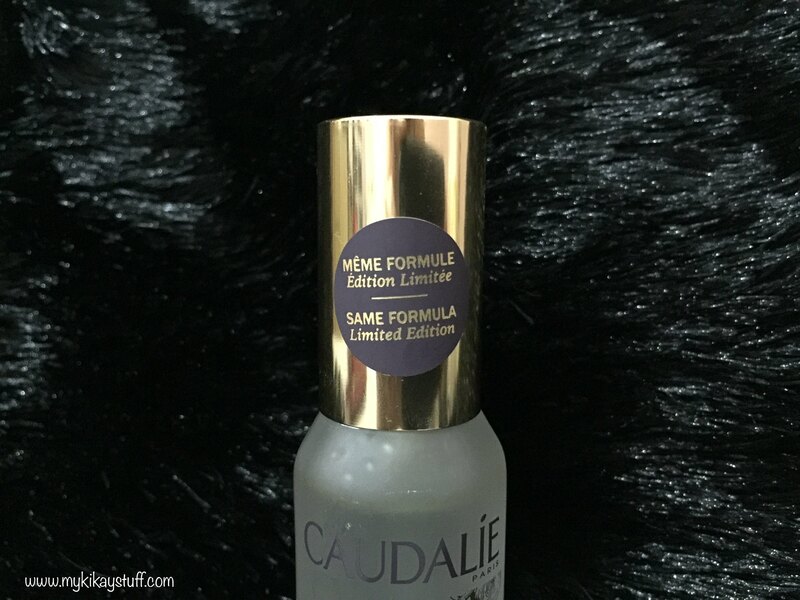 I've had my eye on the Caudalie Beauty Elixir for some time now and after seeing the 20th year anniversary limited edition bottle released this year, I just couldn't resist! This cult favorite comes in a 30 mL frosted glass bottle engraved with gold details. I love how the atomizer diffuses the product finely although the spray tends to jam initially and sprinkle bigger droplets but other than that, I don't see anything else I don't like about the container. Let's talk about ingredients shall we? The beauty elixir is paraben-free and contains natural ingredients such as grape extracts that boost skin moisture and radiance; rose and myrrhe that tone your skin; rosemary which promotes skin vitality; and orange blossom water that softens your skin. 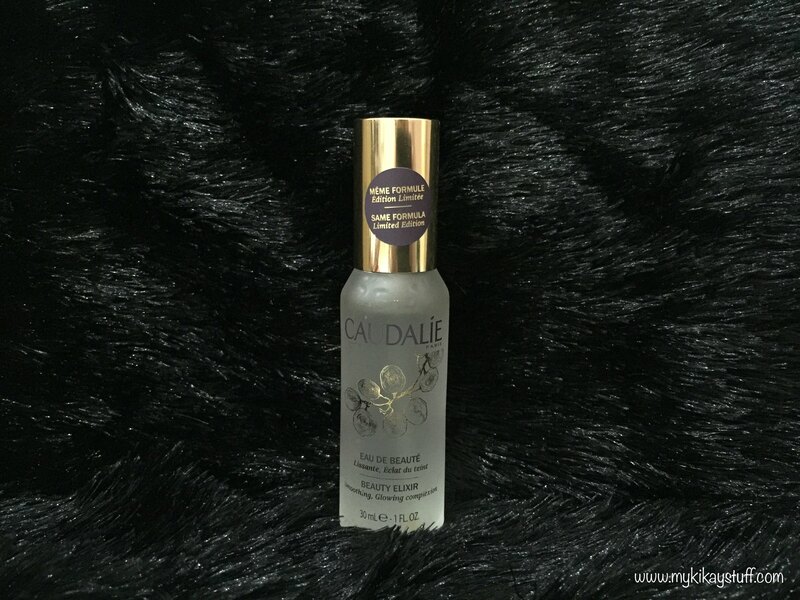 Caudlie suggests to use this beauty elixir in different ways. You can use it as a toner, makeup setting spray, facial mist, moisturizer and many more but I prefer to incorporate it in my night time skincare routine after applying essence or before putting on a facial mask. The first thing I noticed is how the scent reminds me so much of a relaxing day at the spa. The menthol-like fragrance is quite potent that you can sense it just by pulling off the cap but doesn't really linger once applied. It has an immediate cooling effect once the mist lands on your skin. It did sting on some sensitive areas of my face like around the eyes and lips the first time I used it. Although it was only a day after having diamond peel so it might not sting at all on others. Now I feel like it gives my skin a splash of cool and invigorating moisture each time I use it. After a week of twice daily use, my skin has been in its best behavior without any break outs and skin irritation. The most noticeable change I've seen is that the dry patches on my cheeks are virtually gone. I haven't seen any noticeable improvement on my pores and fine lines but I guess a week of usage isn't enough to bring remarkable changes. I'll be updating this post and let you in on what happens a little later. If you're not into scented skincare products (especially menthol) you may want to pass on this otherwise I do recommend for you to give this a go and see how you can make the most out of its multiple functions. That's a wrap! I hope you find this review helpful and if you have any questions just leave them on the comments section below. Do stay for a while and browse some more reviews on other products that may interest you. If you like to be notified about future posts, please click here to subscribe or hit the Bloglovin' icon on the sidebar. Thank you so much and have a wonderful week ahead!